Want tosave 0,55 kn on this order and become Loyalty program member? Tea removes overflow, improves digestion and removes cramps in the digestive system. 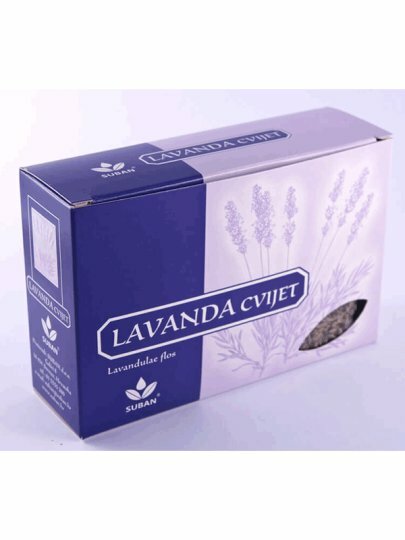 As a bath, lavender is used for its analgesic and anti-inflammatory effects in case of allergic and inflammatory changes in the skin and painful muscles. Lavender contains essential oils, rosemary, flavonoids, coumarin and tannins. 1-2 teaspoons pour with 2 dl of boiling water, let it cover for 20 minutes with occasional stirring, scrub.